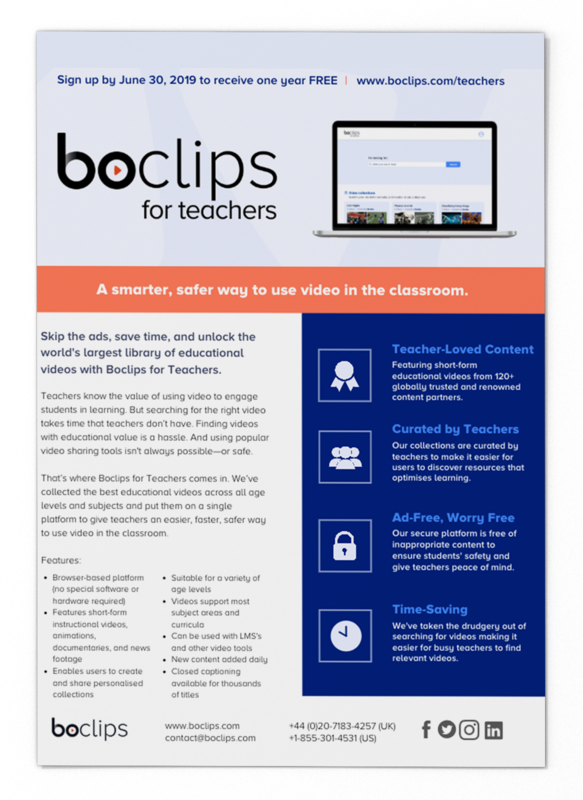 Boclips for Teachers gives teachers access to the world's largest library of short-form educational videos. The platform is free of inappropriate content to keep the focus on teaching and learning. Teachers can find curriculum-aligned playlists that are curated by other real classroom teachers. Our videos are searchable by age level and subject area so teachers can spend less time searching and more time teaching.